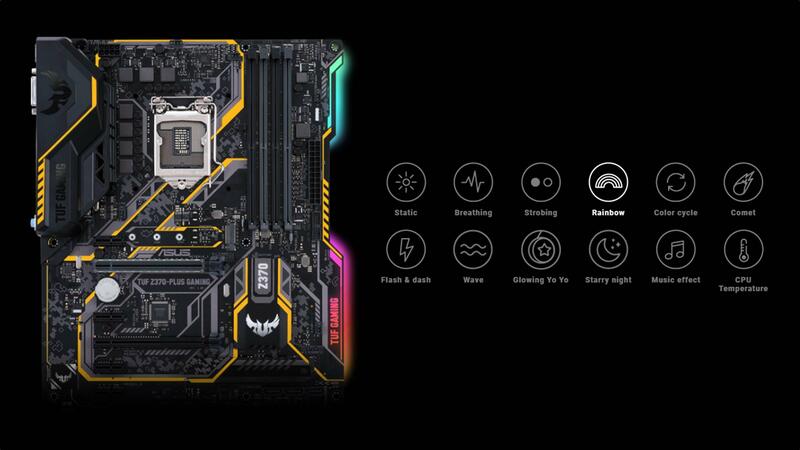 Powered by 8th Generation Intel Core processors, TUF Z370-PLUS Gaming is designed for 24/7 performance. 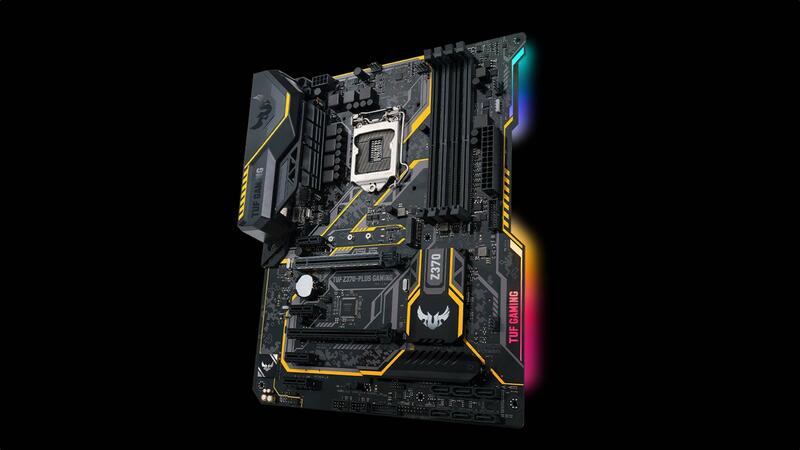 Unlock your system’s full potential with Gamer’s Guardian featuring SafeSlot and Fan Xpert 4 Core while personalizing your build with AURA Sync lighting. 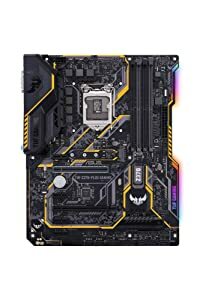 Integrated dual M.2, Gigabit LAN and USB 3.1 deliver maximum connectivity speeds. 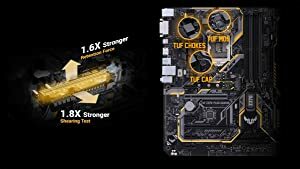 Infused with the military spirit of The Ultimate Force (TUF), TUF Z370-Plus Gaming is the perfect foundation for your ATX battle rig: a solid, durable and camouflaged force that’s fit for today’s fights. 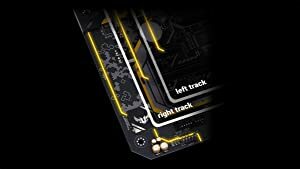 With backward-compatible USB 3.1 Gen 2 Type-A, you’ll experience blazing data-transfer speeds of up to 10Gbps. 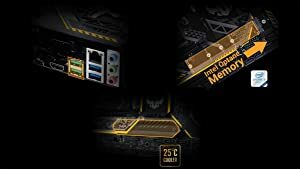 Intel Optane is a revolutionary non-volatile memory technology supported by TUF Z370-Plus Gaming. 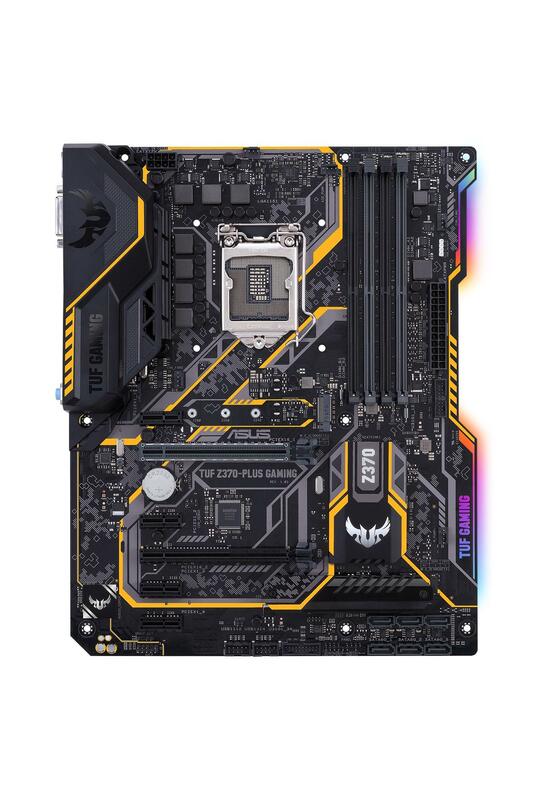 Lastly, TUF Z370-Plus Gaming features dual onboard M.2 slots, both operating at X4 PCI Express 3.0 to provide a scintillating 32Gbps of bandwidth. Audio Shielding separates analog/digital signal domains, significantly reducing multi-lateral interference. Dedicated Channel Layouts separate layers for left and right channels to preserve the quality of the sensitive audio signals. 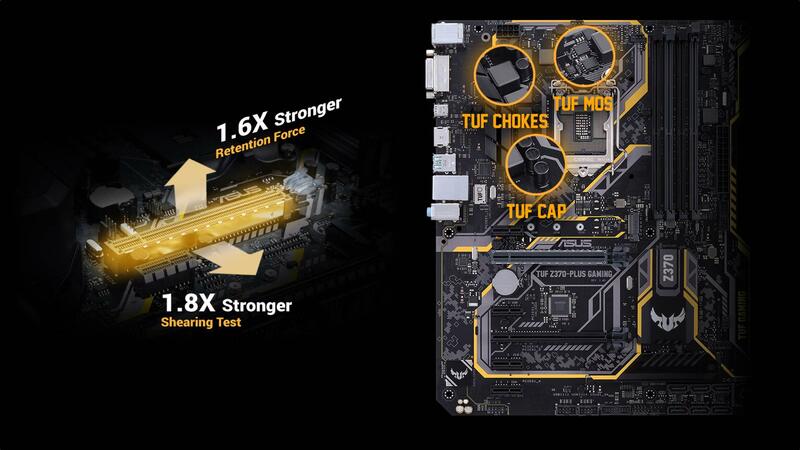 The TUF Gaming Audio Cover effective shielding preserves the integrity of audio signals to ensure best quality. 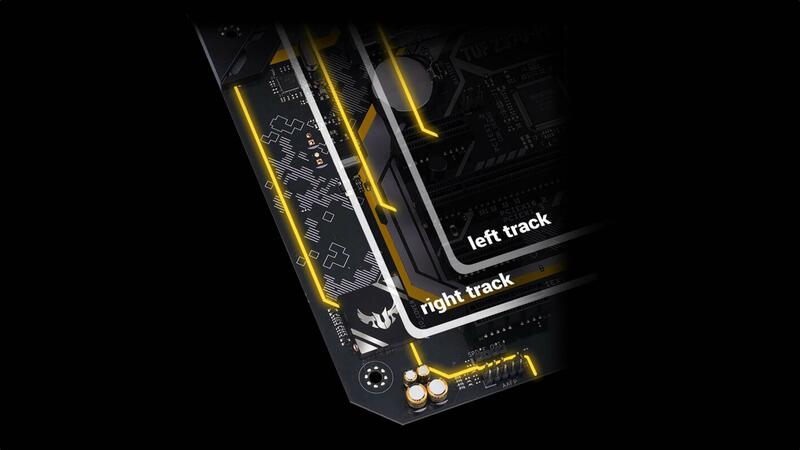 TUF Protection is the name of TUF Z370-Plus Gaming’s hardware safeguards that ensure long-term durability and stability, while the board’s complement of military-grade TUF Components are manufactured and tested to exacting standards — providing the confidence you need to create a gaming system that’ll go the distance.